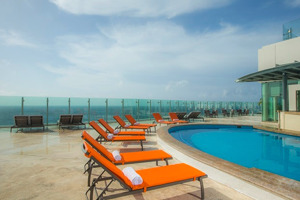 Beach Palace Cancun is a luxury all-inclusive resort for families and couples. A vast stretch of sandy white beaches and blue ocean waters welcome you as you make your way to the beach area. 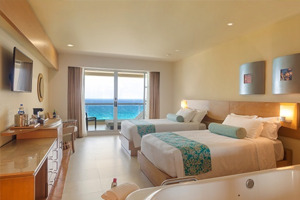 Every family member will enjoy their stay at Beach Palace Cancun and take home unforgettable memories. Beach Palace is your dream family vacations, come true. Enjoy our awe all-inclusive with a stunning view of the sunrise and sunset, you can relax and take in the beauty of Nichupte Lagoon and the Caribbean Sea as you sip on refreshing tropical drinks, and the kids have fun with our “Family Connections” program designed for couples who don’t want to choose between a romantic getaway and a family vacation. 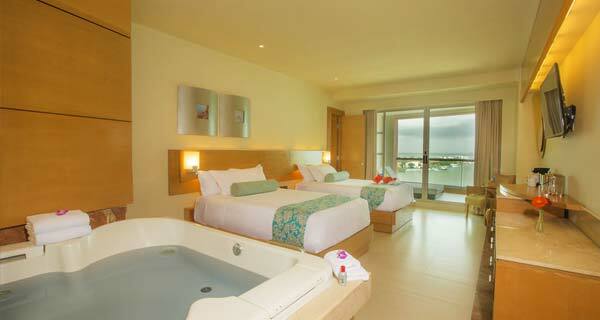 At Beach Palace Cancun all the in-room amenities have been chosen for your comfort and convenience. From the double whirlpool tub, to the mini-bar filled with sodas, water, juices, and domestic beer, your stay with us will be unforgettable. Telcel PTT (Push to Talk), the service offers parents the ability to speak with their children at any time, offering peace of mind knowing that their children are just a direct connect away. Activities, and entertainment, including dancing lessons, face painting, treasure hunts, Spanish lessons, and much more. With XBox and Wii video games, a kids’ pool area, and an indoor arts and crafts area, kids are always on vacation at Beach Palace. For our teenage guests there is an XBox 360 and video games tournament on the giant screen. Specialized Kid’s Club Menu: mini burgers and French fries, pizza, grilled cheese sandwiches, chicken fingers, quesadillas, spaghetti and a variety of delicious ice cream flavors sure to please even the pickiest eater. This new feature also allows kids to enjoy meals with other kids, while parents enjoy a romantic meal together. 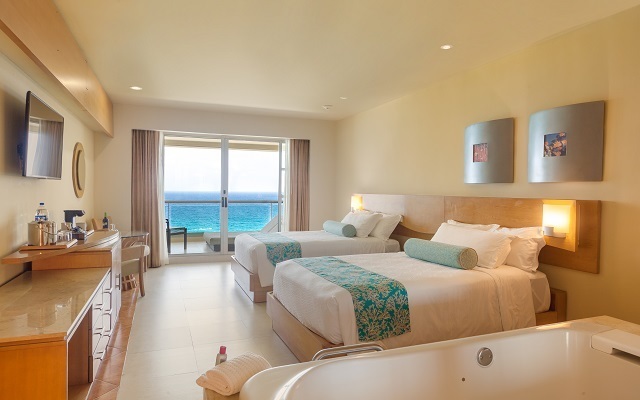 Beach Palace Cancun offers stunning views; spacious, bright rooms with high quality linens, contrasting woods, and stylish decoration. 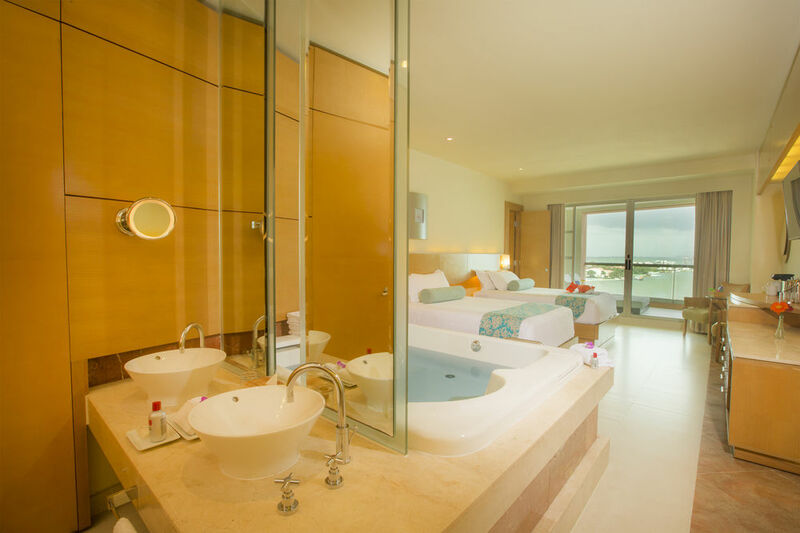 Guest rooms feature in-room double whirlpool tubs, bathrooms with CHI brand products, hair irons and blow dryers, and liquor dispensers with brand name labels of whisky, rum, tequila and vodka. 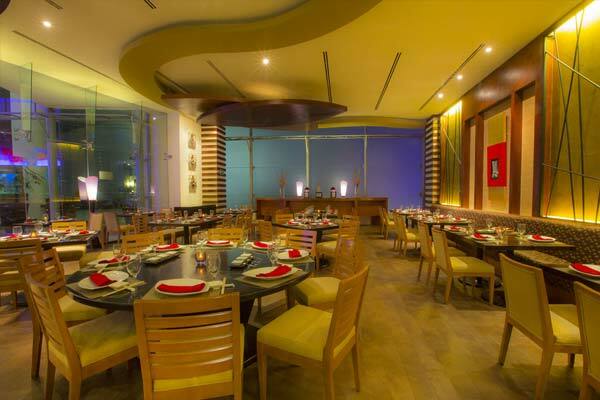 Beach Palace Cancun offers a variety of world-class dining options. Using the best local and imported ingredients, we offer many cuisine choices including American, Mexican, Italian, Pan-Asian and more. 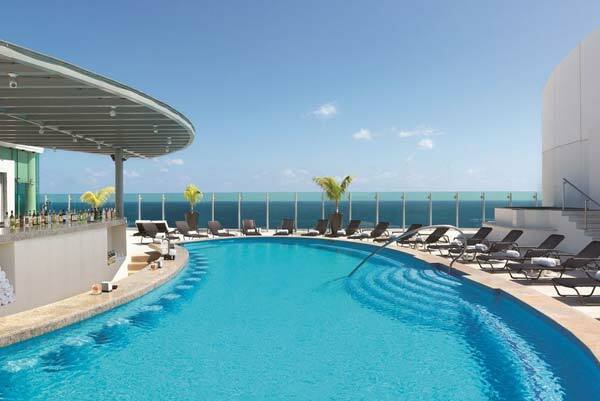 ALL-INCLUSIVE FEATURES AND ACTIVITIES FOR FAMILY MEMBERS OF EVERY AGE AND INTEREST. 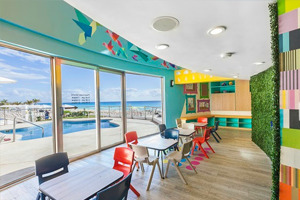 With an exciting variety of entertainment and activities in Cancun for all ages, Beach Palace offers a fun atmosphere for adults as well as family-friendly activities. These include local excursions, guided trips to the ancient Mayan cities of Chichen Itza and Tulum. 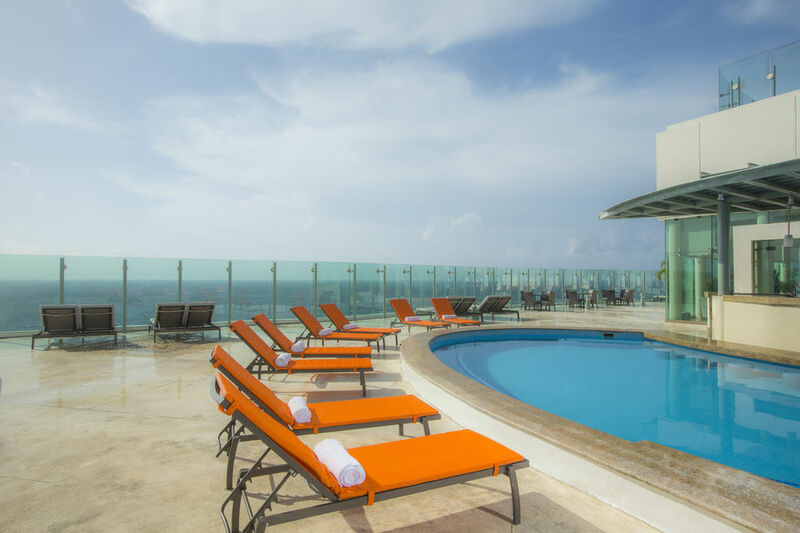 Lay back and relax under an umbrella or take a refreshing swim, or join at one of our three outdoor pools, including two rooftop pools. 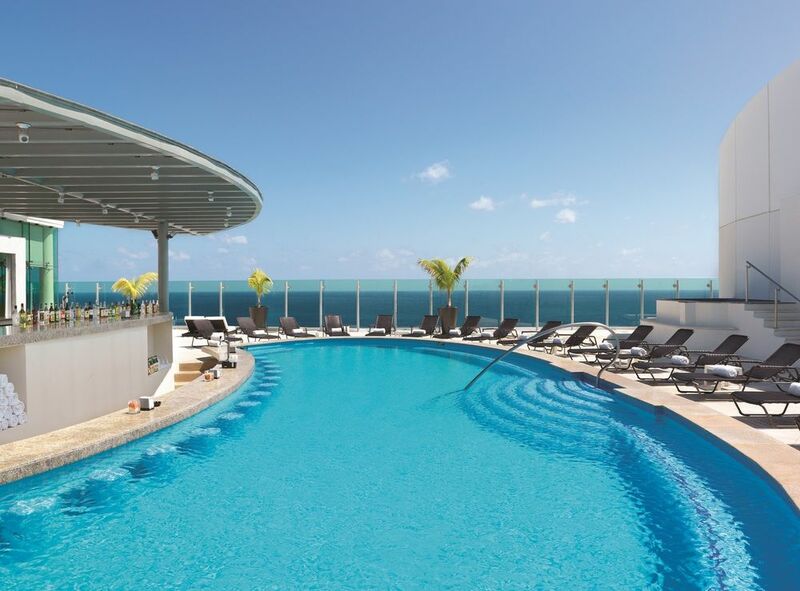 Three swim-up bars serve refreshing frozen drinks and cocktails. The Ping Pong table and table games are always ready for action. Choose a relaxing day in our spa, where you can choose from a selection of massages, bath therapies, facials, body scrubs, wraps, and a sauna and steam room. Embark on a relaxing journey under expert hands of our spa specialists. Schedule an appointment during your stay to indulge in any of our relaxing treatments. 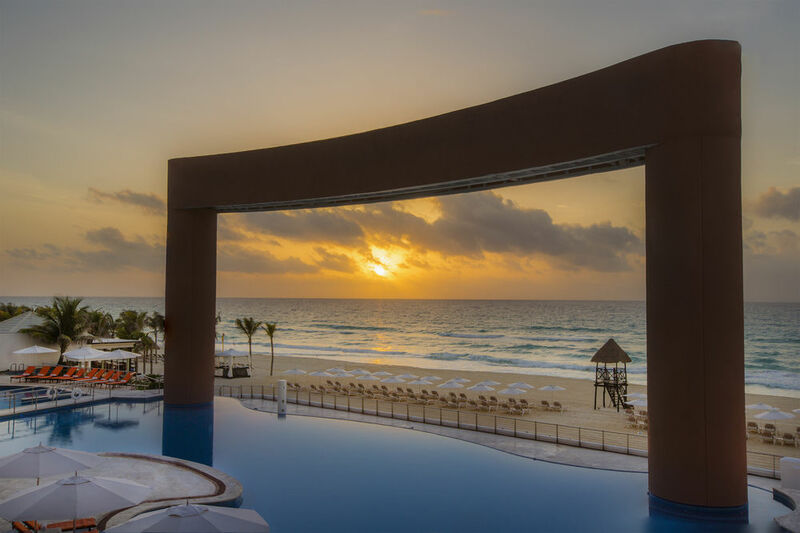 Get acquainted with the surrounding beauty Cancun holds by booking one of the many tours offered at Beach Palace. 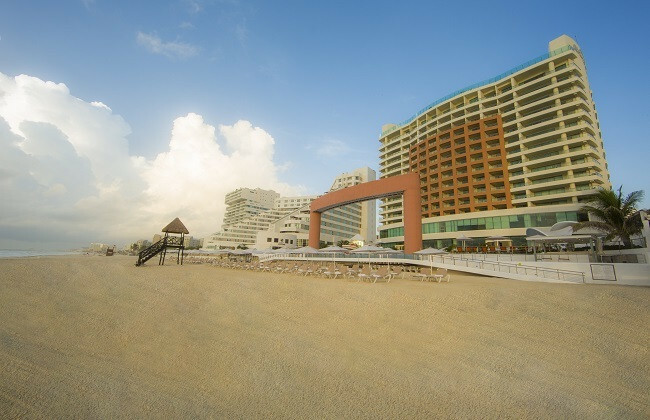 Whether you want to explore the Mayan ruins, or have a swim with the dolphins, you’ll find it all at Beach Palace. 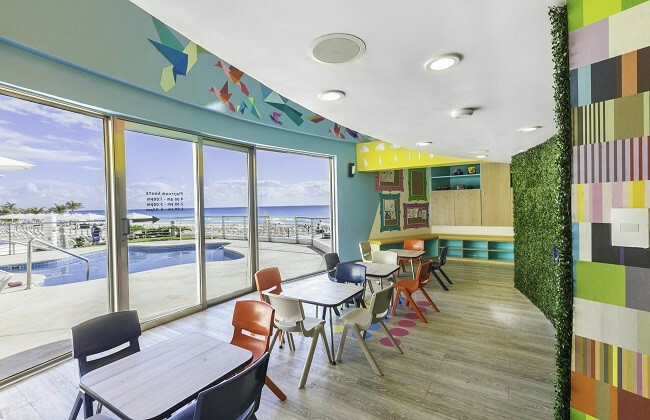 The Play Room keeps your kids engaged with activities, games, and a kids' pool. 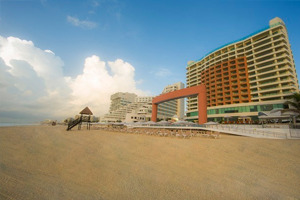 Beach Palace is truly a resort made just for you. 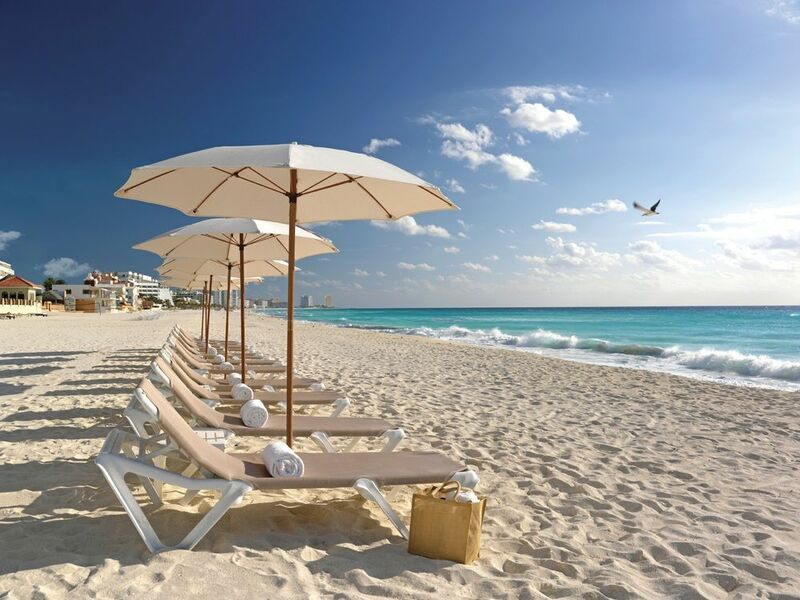 Wine and dine on one of the best beaches in the world. Beach Palace gives you the ability to have an unforgettable time with your loved one by giving you everything you need for a romantic beachside dinner.